First things first, an introduction. I am Miles Tokunow the new coordinator for the Makerstate Initiative. I’ve been emailing with many of you but wanted to formally introduce myself on Hitchhiker. Originally from Los Angeles, with a background in dance, anthropology, experimental music and diy electronics, I am so grateful to be able to bring really important maker programs to your libraries. I am a strong believer in learning through doing and empowering communities and individuals to creatively solve their own problems. I have been teaching media arts and electronics in workshops and after school programs since 2010 and am finishing my MA in Media Arts and Technology from NM Highlands University. I also have two dogs. Lastly, I am delighted to bring the Makerstate Initiative workshops to your communities with Allie Burnquist. This is Allie’s second year working for the Makerstate Initiative and has already had the pleasure of working in several communities throughout New Mexico. Allie is a recent graduate of the NM Highlands University Media Arts and Technology program with her BFA in Visual Communication. Allie is currently working with the Makerstate Initiative and the NM Museum of Natural History and Science, teaching children and families about maker activities and emerging technologies through hands-on workshops. She plans to begin working on her MFA in Cultural Technology in fall of 2017 with hopes of becoming an exhibit experience designer. She has a nine year old gray cat with green eyes named Inca, who she loves dearly even though she sleeps on her head at night. 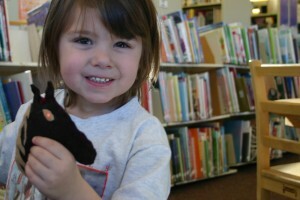 Now, on to our recent travels – before the holidays, Allie and I traveled to three libraries in three days- Edgewood, Moriarty and Estancia. 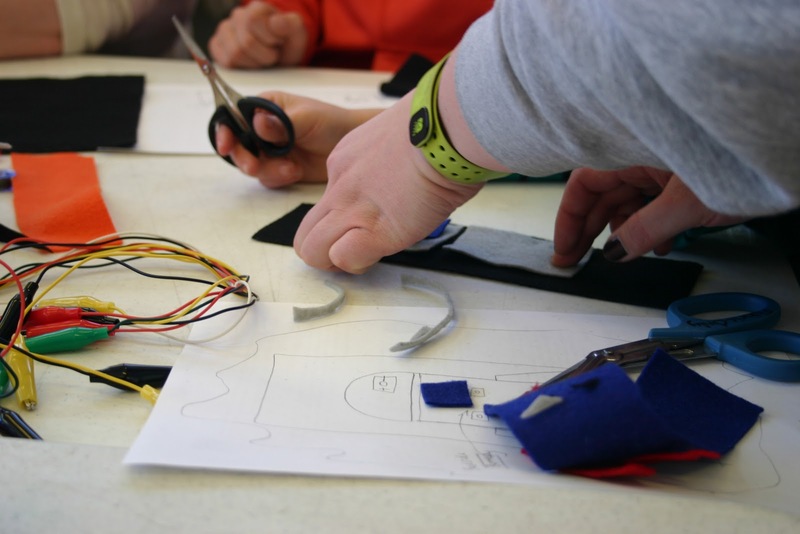 We taught e-textiles and 3D selfie robots. 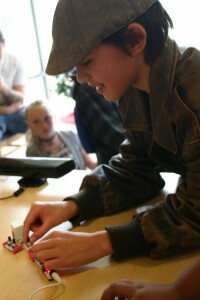 The programs were filled with eager curious minds, both young and adult alike! We were able to reach over 79 people during those three short days! Some highlights were trying to figure out how to teach electronic textiles to children below the age of 5 who were learning how to use scissors; the answer: get mom’s, friends and librarians to take charge! At the same library, Edgewood, we had a child who was inspired to learn these skills as a foundation for a tech-based company he wants to create that focuses on innovation in NM! 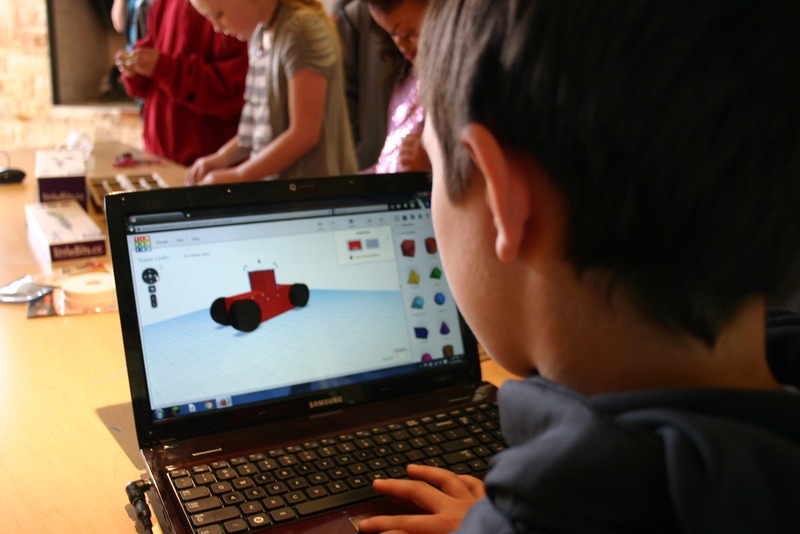 At the Moriarty library, we 3d scanned and printed children in their city hall meeting room. It was regal to say the least. 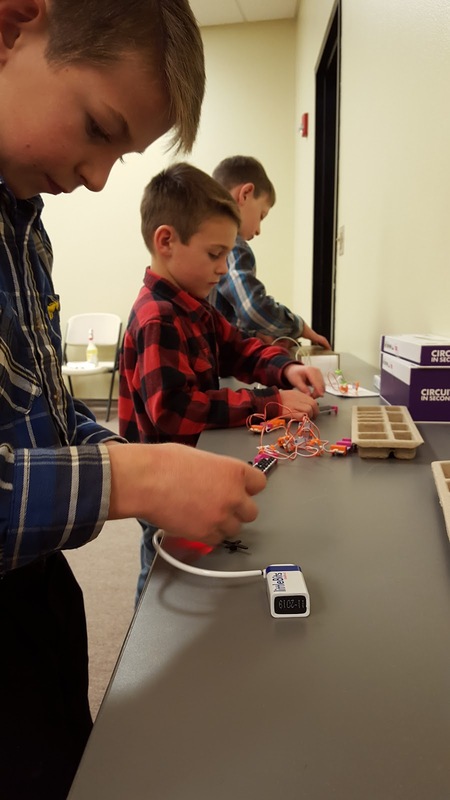 While the young people waited for their figurines to print, they learned how to design in 3D and also took their talents to creating whimsical creations and sounds with the littleBits. In Estancia, we had one young person take over for me at the computer – directing children and adults to 3D scan them. Quite a few took to the process of 3D designing and were excited to know they could use their designs in Minecraft.